Noida Authority has, on last Friday, said that they are planning to construct two bridges across the Yamuna to facilitate better connectivity between Noida and Faridabad. As Haryana Urban Development Authority (HUDA) has postponed plot allotment in Gurgaon; following the HC order, the wait of the 700 plot owners still got longer. HUDA postpones plot allotment after the HC order. 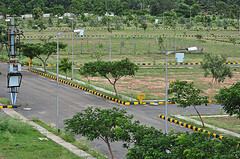 Haryana Urban Development Authority was expected to allot the plots to the plot owners last week. However, surprising the plot owners of Gurgaon, HUDA postponed the plot allotment. All the steps had been completed for the HUDA to announce the draw of lots last week. However due to some reasons HUDA has to postpone the plot allotment for indefinite period of time. Land scam allegations hit the headlines of Faridabad mainly because all the land scams are filed against the top politicians of the area. Land scam allegation against Mr. Bhadana is the latest among all. 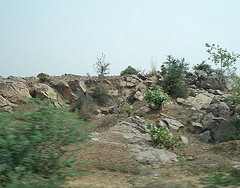 Faridabad Municipal Corporation’s land is intruded by politicians. Faridabad Municipal Corporation’s (MCF) land was illegally intruded by the local MP, Avtar Singh Bhadana. Shiv Charan Sharma and Sharda Rathore, the state Revenue Minister and Chief Parliament Secretary (CPS) respectively are also alleged of land scams.